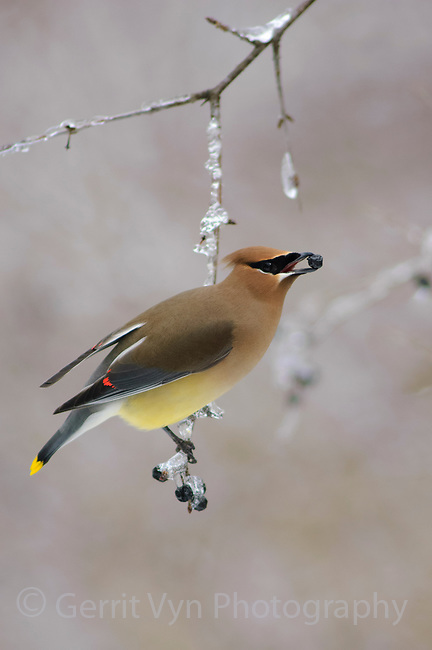 Adult Cedar Waxwing (Bombycilla cedrorum) feeding on honeysuckle berries. Tompkins County, New York. March.